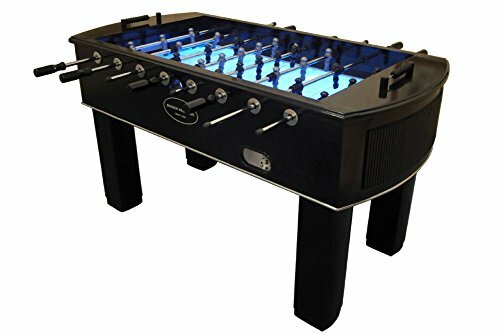 The Neon model is one of only a select few tables on the market that are made to light up the playing surface. Like the name states, this one comes with a neon light that illuminates the table top playing surface. The sanded glass playing field allow for the light to shine through from underneath the cabinet. Overall, this gives the table a unique quality and gives it a great contrast against the piano black mica cabinet. This model is made from one of the leading manufacturers in table games, Berner Billiards. This table is priced at about $950 US.